I know I’m super late on the trend. I’ve been reading a bunch of other bloggers’ goals for the year and it left me inspired. This year, I’m going to set four major goals for myself. Two for reading, two for blogging. Last year I read 25 books (not including Children’s Books) and I’m not going to force myself to do too much this year. Two per month should be enough between school, work, and whatever else comes up. I want to get back into reading physical books. This year I depended heavily on audiobooks to get through reading. I want to try watching less TV and making more time for reading. I’ve always been one for pushing diversity in books, but towards the end of last year, I realized that diversity was mainly focused on black authors. I want to start reading more from the Latinx community and authors cultures, too. 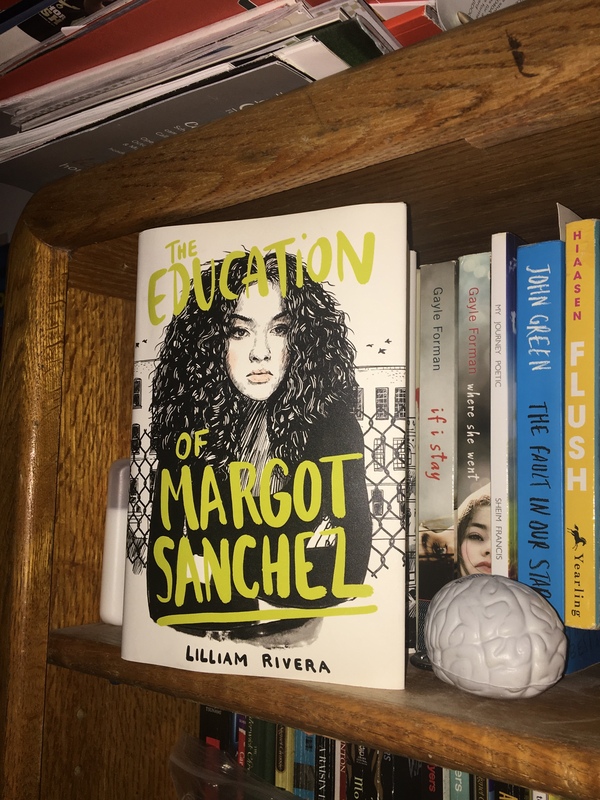 I read The Education of Margot Sanchez last month and enjoyed it. My review for The Poet X will be up next Friday. So far, so good. In 2018, I didn’t start taking this blog seriously until the year was almost through. I want to change that this year. I’ve even switched over to a paid plan, so I’ve put my money where my mouth is. I want at least 2 posts out every week in 2019. I’ve been posting my pictures on my personal instagram lately, but I think it’s time I start one dedicated to my blog. I just started it last week and it’s on the sidebar, so make sure to give your girl a follow. I also want to post pictures 3 times or more a week for the Bookstagram. The Educated Negra • This entry was posted in Books, Me, me, Me and tagged 2019, Blogger, Blogging, Book Blog, Goals, Reading. Bookmark the permalink. I want to write more as well. Not just on the blog but actual books. I believe I will have info on a book soon. What is it you want to do full time in life? I love writing, too. I’m currently in college and I recently changed my major to Health Science but I don’t know exactly what I want to get out of that yet. I totally understand the part about reading physical books and cutting down TV time. Good luck! !